At Emmaline Bride, one of our goals is to share the latest + greatest handmade wedding trends + finds, along with Real Wedding ideas. 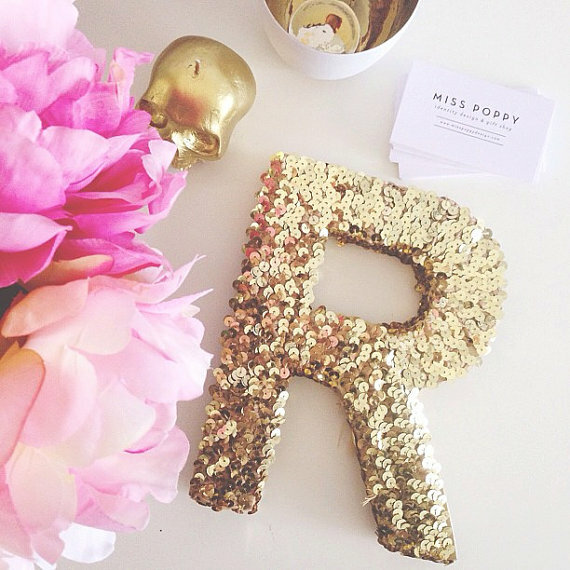 So, when we stumbled upon this ultra-sparkly sequin letter over at Miss Poppy Design, it pretty much stopped us in our tracks. We’ve see monogram letters done over, and over, and over again — burlap covered, fabric covered, yarn covered, etc. But sequin-covered? Now that’s new — and we’re on board with this sparkly, festive detail. 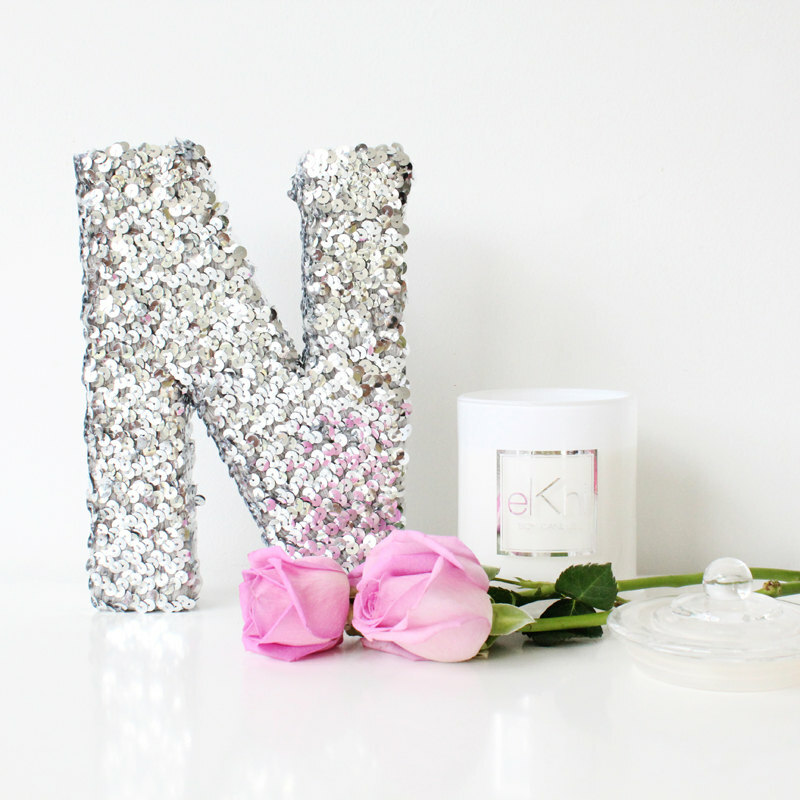 Use it as a decor piece at your bridal shower, bachelorette bash, or at your wedding. Who wouldn’t love to re-purpose this pretty piece in her home office after the big day? I know I’m already scheming a way to fit it into EB Headquarters. I mean, we could always use more gold in our office, am I right? 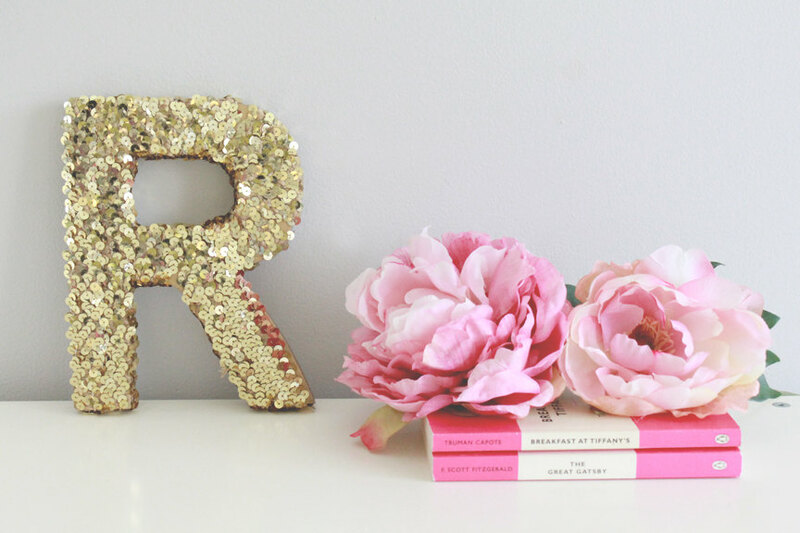 And just like coffee and lipstick and pretty high heels, a girl can never have too much sparkly gold decor. That’s my motto anyway. Enjoy! … but it’s pretty in silver, too, if that’s your metallic of choice! See the full sparkly collection right here.